What can make the world more fun? Create the answer in LEGO® bricks! Explore an underwater temple and discover its secrets, before you hop in your helicopter and take off for new adventures. Whatever you can imagine, you can build, rebuild and play with all day. Small bricks can inspire big ideas! - Features a mix of bright and colorful LEGO® pieces that allow for open-ended creative play, special pieces including wheels, shapes and eyes, plus a special edition tile celebrating 60 years of the LEGO brick. 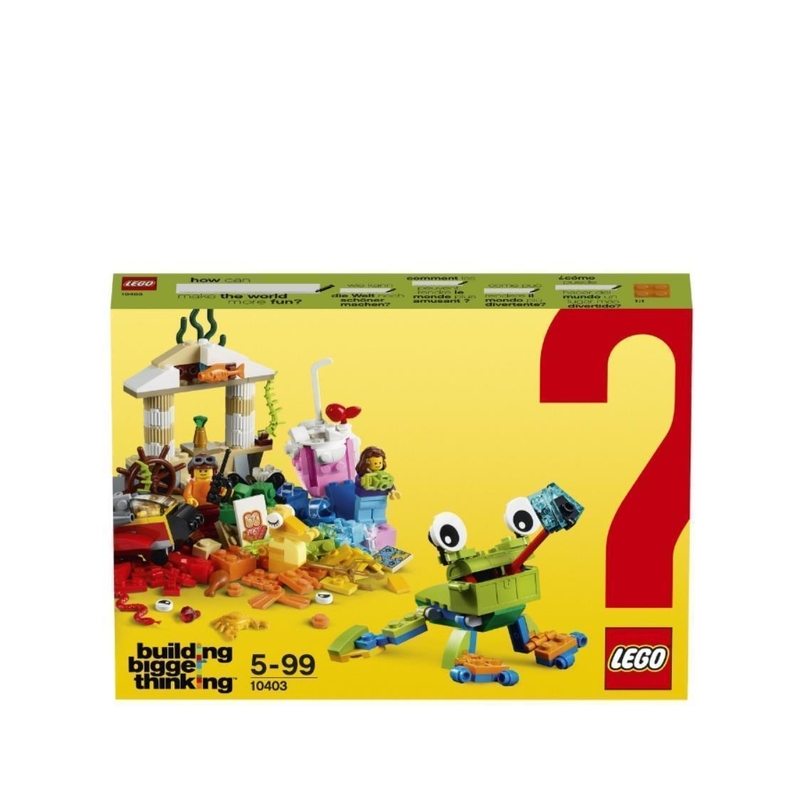 - Let your child answer some of the biggest questions in the world with this special edition LEGO® set. - Provides varying degrees of building complexity to suit builders of different levels. - Accessory elements include a trident, pair of flippers, helmet, walkie-talkie, camera, map, flying helmet, chicken leg, glass, ice pop, fish and a snake. 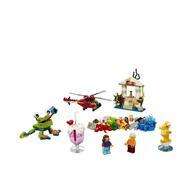 - This special edition fun toy is suitable for ages 5+. - Start building bigger thinking with LEGO® bricks!